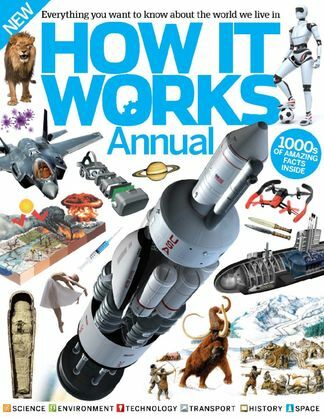 Collecting the best of the year's myth-busting How It Works content, this annual edition seeks to answer all of your most burning questions. Science - Separating fact from fiction, learn all about the latest research from the world of science, including the icy techniques of cryogenics and the beauty of crystallised. Environment & Space - Discover more about the world around you and what lies beyond our blue skies as we delve into the natural world, observing the pets in our homes and the planets in our galaxy. History - We take a step into our time machine to take a look at previous civilisations, such as the adventurous Vikings to the ingenious and the Romans, but also dig into the ground to discover prehistoric dinosaurs and ancient artefacts. Be the first person to tell us what you think about How It Works Annual and you'll save $5 on your next purchase!